Situated in Mumbai’s bustling business district, a café interior made almost entirely from cardboard forces passersby to do a double take. 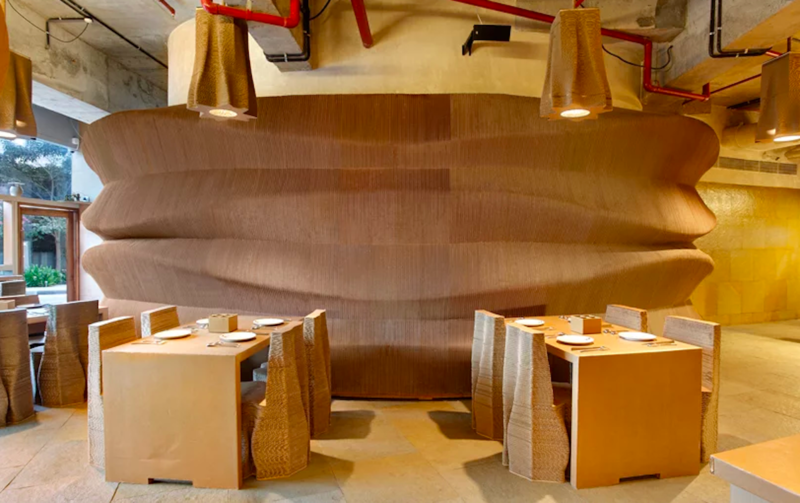 The unique establishment, known as "Cardboard Bombay,” is striking not only for its unconventional appearance but also for its sustainable design. Against the backdrop of ubiquitous glass high-rises and fine-dining restaurants, the playful café serves coffee and casual bites in style while taking advantage of cardboard’s many sculptural and textural qualities. 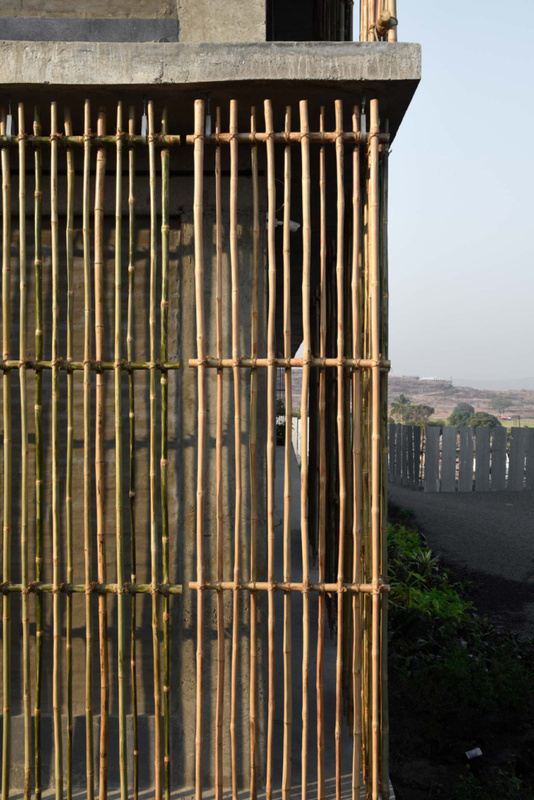 Designed by Nuru Karim, founder of Mumbai-based architectural firm NUDES, the space aims to promote conversation about the role of sustainable design in today’s urban landscape, as well as its impact on the future of Earth’s resources. Cardboard is an eco-friendly alternative to other materials, in that it is 100 percent recyclable and biodegradable. While durable, it is comprised of 50 percent air, making it extremely lightweight and versatile. Cardboard also has excellent sound absorption properties, making it a great acoustic solution for the food industry. Before being able to build with cardboard, NUDES researched the material in depth, which included testing cardboard with humidity, water resistance, and temperature fluctuations. After conducting thorough research, NUDES took to sculpting the café's bespoke furniture, light fixtures, accessories, and architectural elements entirely from cardboard. Designers stacked layers of cardboard to create the base of the chairs, and they laminated the cardboard tabletops—some of which cantilever from undulating cardboard wall partitions—with a wax treatment to prevent food and water damage. Even the walls are crafted from sinuous waves of cardboard fluting that, when layered next to each other, form intricate patterns, textures, and free-flowing geometries. The project took about seven months to complete, including four months of model-making and three months of construction. While Cardboard Bombay is India's first café suited up with cardboard, let's hope that it won't be the last. 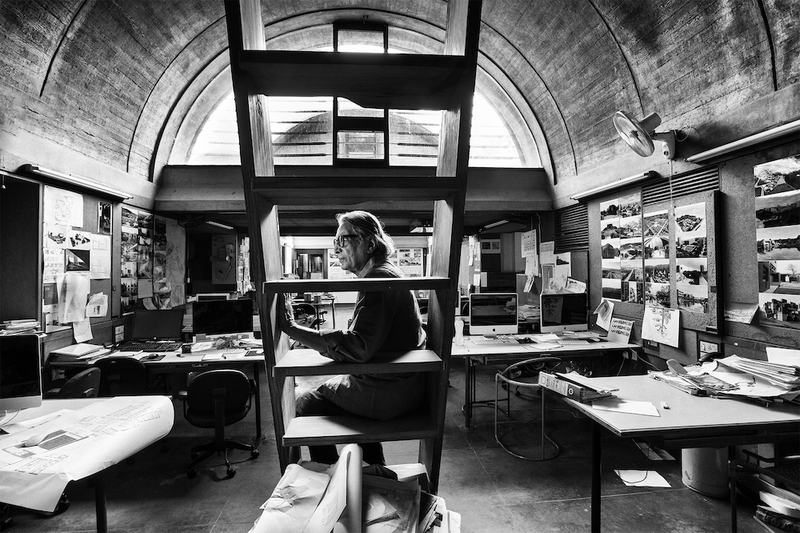 Balkrishna Doshi is the 45th Pritzker Prize Laureate and the first architect from India to win the prize. For over seven decades, Doshi has been committed to shaping and nurturing India’s modern architectural milieu and is an important voice in the industry’s global discourse as an architect, urban planner, and educator. He worked closely with Le Corbusier and Louis Kahn and completed over 100 projects of varying scales with his firm, Vastu-Shilpa. Doshi deftly integrates the principles of modernism within the realities of the Indian climate and context. His work addresses serious social issues, developing low-cost housing and urban planning throughout India’s cities, particularly in Ahmedabad, India, where he is based. According to the 2018 jury citation: “With a deep sense of responsibility and a desire to contribute to his country and its people through high quality, authentic architecture, he has created projects for public administrations and utilities, educational and cultural institutions, and residences for private clients, among others. 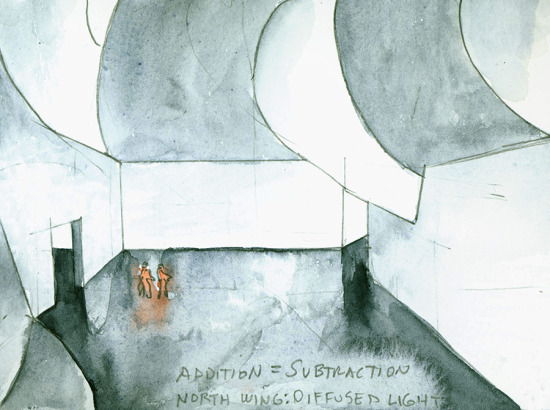 Doshi is acutely aware of the context in which his buildings are located. His solutions take into account the social, environmental and economic dimensions, and therefore his architecture is totally engaged with sustainability.” After studying architecture in Mumbai, Doshi joined Le Corbusier in Paris in the early 1950s, returning to Ahmedabad to work on several of Corbusier’s buildings there and ultimately overseeing Chandigarh. In 1962, Doshi collaborated with Louis Kahn on the Indian Institute of Management, continuing to work with him into the 1970s. Doshi founded his own practice, Vastu-Shilpa Consultants in 1956, and later established the Vastu-Shilpa Foundation for Studies and Research in Environmental Design in 1978. 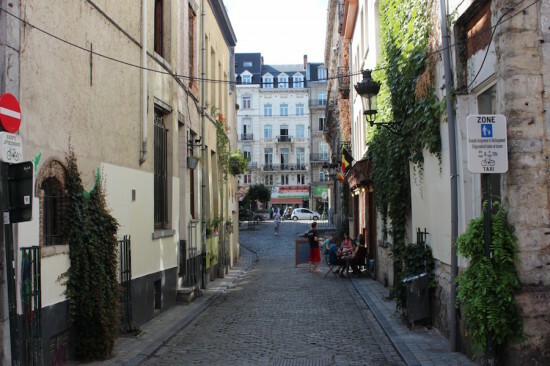 He has spent subsequent years developing cities and townships as well as notable educational and cultural facilities. Some of his most iconic projects include Aranya Low Cost Housing (Indore, India), which won the Aga Khan Award for Architecture in 1996, ATIRA low-cost housing (Ahmedabad, India), his office, Sangath (Ahmedabad, India), and IFFCO Township (Kalol, India). The works are site-sensitive with protective overhangs and subterranean spaces to mitigate the extreme climate, interlocking volumes and fluid layouts to promote interaction, and overlapping spaces that connect the indoors to the outdoors. “Every object around us, and nature itself—lights, sky, water and storm—everything is in a symphony,” Doshi explained in a statement. “And this symphony is what architecture is all about. My work is the story of my life, continuously evolving, changing and searching...searching to take away the role of architecture, and look only at life.” The 2018 Pritzker Architecture Prize ceremony will be hosted at the Aga Khan Museum in Toronto, Canada, in May, and Doshi will give a public lecture in partnership with the John H. Daniels Faculty of Architecture, Landscape, and Design at the University of Toronto on May 16, 2018. For more information, visit the Pritzker Prize website. Dharavi, a slum in the heart of Mumbai, is home to approximately one million people, making it one of the largest slums in the world. Next month, Dharavi will house the first slum museum, Design Museum Dharavi. The museum will open February 2016, "creating a place where makers can find potential clients, teach workshops to the rest of the community and take their own practice one step further," the museum page says. In response to Dharavi's population density, the museum will be constantly on the move. Jorge Mañes Rubio, an Amsterdam-based visual artist, along with the museum team, designed a small, flexible structure that can be easily drawn through slums on bikes or small vehicles. The mobile museum will travel in order to host workshops, lectures, exhibitions, and cultural events throughout Dharavi. The team's intentions "are to acknowledge the citizenship of these people, to recognize their equal rights compared to the rest of the city, and promoting a greater exchange between formal and informal economies." "We believe that the objects made in Dharavi could be as valuable as those collected by design museums," said museum leaders, "We want to give these objects a platform to be contemplated and appreciated by makers and locals from Dharavi, the city of Mumbai and the rest of the world. The main mission of Design Museum Dharavi is to challenge our perception of ‘slums, favelas, barriadas, ghettos’ on a global scale." 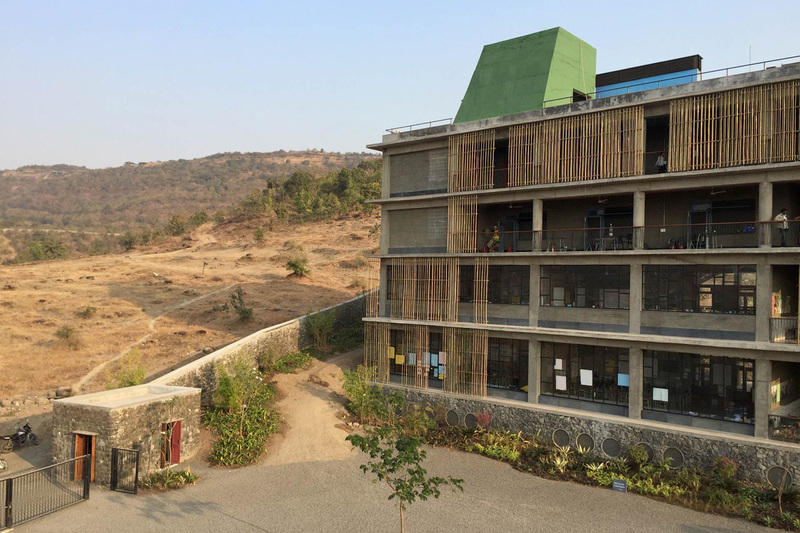 For more information on Design Museum Dharavi, visit the project page here. 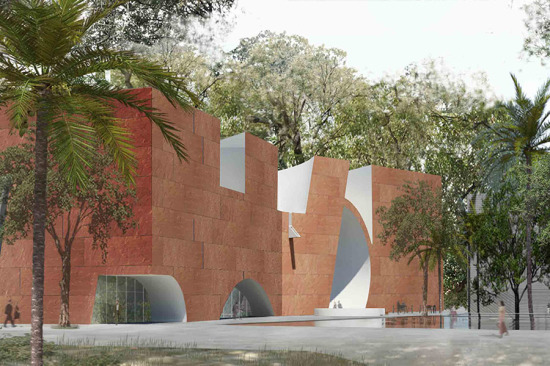 Steven Holl Architects have been selected to design a new addition to Mumbai’s City Museum, besting finalists including OMA, Zaha Hadid Architects, Amanda Levete, wHY, and Pei Cobb Freed, among others. The 125,000 square foot white concrete addition will include 65,000 square feet of galleries, each with carefully calibrated natural light filtering down from overhead. Light is used as a device to draw visitors through the spaces. In addition to providing natural light, cuts in the roof form channels that feed a large monsoon pool adjacent to the museum. 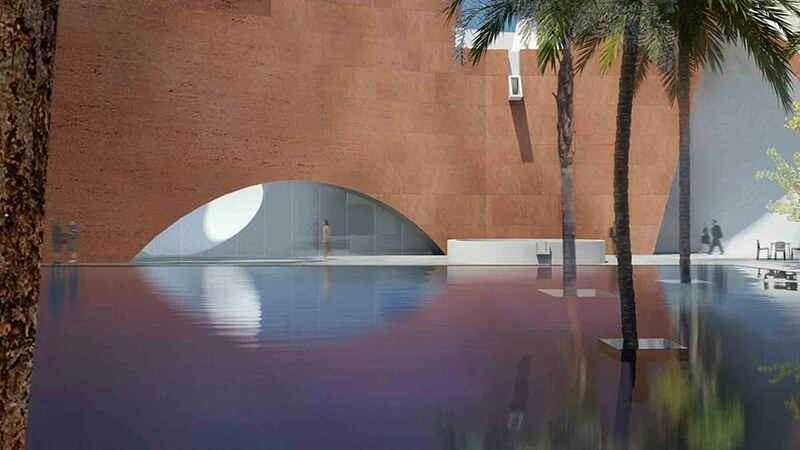 Inspired by India’s monumental well architecture, the pool serves a contemporary function: Lined with photovoltaic cells, the pool will generate 60 percent of the museum’s energy. Guy Nordenson & Associates is engineering the project, and Transsolar is serving as sustainability consultants. The international competition was the first ever held for a public building in India. Construction is expected to begin in 2015. The BMW Guggenheim Lab is taking its show on the road one more time, after jaunts in Manhattan's East Village and Berlin, Germany. This time to Mumbai, India, where starting in December, an international group of experts and innovators will lead six weeks of free programs, public discourse, and experiments exploring a range of topics related to contemporary urban life. Mumbai, a city of 20.5 million people—the fourth most populous city in the world—represents a unique challenge for the Mumbai Lab Team, who have created a series of projects, studies, and design proposals that respond to issues including transportation, infrastructure, governance, and housing. To get a sense of the types of discourse that will be going on, check out 100 Urban Trends, a glossary of 100 of the most talked about trends in urban thinking, compiled during the BMW Guggenheim Lab’s trip to Berlin in June. 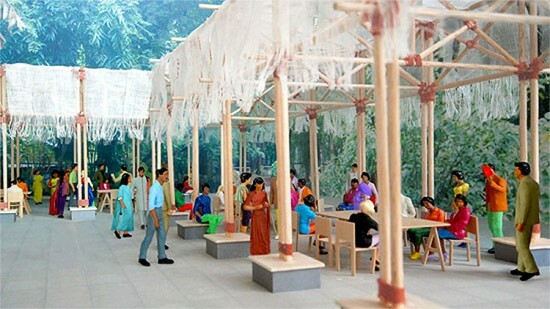 A 36-column bamboo structure, designed by Tokyo-based Atelier Bow-Wow and inspired by a traditional Indian Mandapa—a pillared outdoor hall for events—will serve as a mobile pavilion and hub for the happenings. Atelier Bow-Wow designed all three BWM Guggemheim Lab pavilions, part of a collaboration between the museum and the car company. 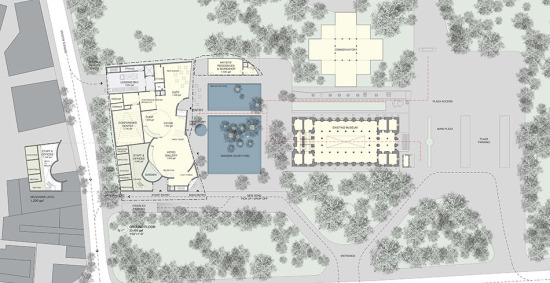 The pavilion will be built at the Dr. Bhau Daji Lad Museum and will open on December 9, 2012. Pop-up sites are also planned throughout the city. Keeping Cooper. 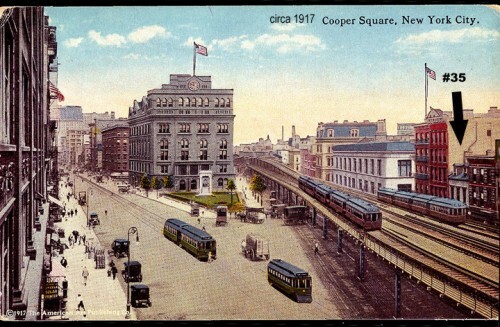 There's a fight brewing over the demolition of the 186-year-old 35 Cooper Square. A demolition permit had been issued and subsequent stop work orders and candlelight vigils. The small federal style structure was once home to descendants of Peter Stuyvesant and beatnik Diane DiPrima. Keep tabs on the little building at EV Grieve and the Bowery Alliance (And in other Cooper Square preservation news, what's going to happen to the Astor Place mosaics under the planned pedestrian plaza upgrades?) Slum for Sale. 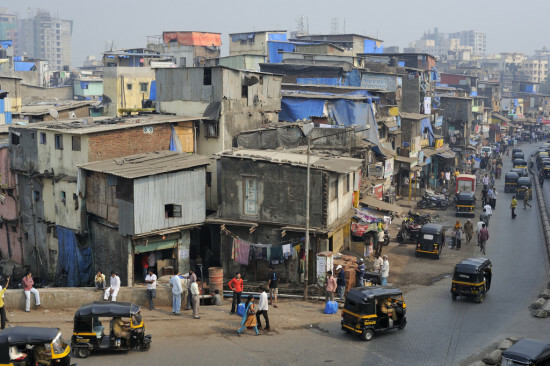 In the heart of Mumbai, India, the Dharavi settlement is under pressure to redevlop. Polis has a review of a new documentary on the struggles of a "city tearing at the seams" trying to balance capital growth and the needs of its inhabitants. Urban Evolution. Cities are constantly changing, but we rarely take the big step back and look at how an area has evolved over, say, the past 500 years. Aid Watch put together a visual history of one block in New York's Soho neighborhood, from wilderness, to brothel central, to home of high-end retail. (Via Economix.) Infographic. Gothamist uncovers an interesting chart comparing Chicago and New York by the statistics. Categories include miles of transit track, cost of living, and even who has better pizza. There is no direct English translation for the Indian word ‘jugaad,’ but the gist of it is to “make do.” But simply “making do” does not aptly describe the clever and resourceful strategies on display in Jugaad Urbanism: Resourceful Strategies for Indian Cities, a new exhibit at the Center for Architecture that opens tomorrow night. For the most part the exhibit shirks high design in favor of “design by the people, for the people.” “The concept itself came about when we looked at the cities,” said Kanu Agrawal, the exhibit curator. “There was a tragic narrative that they’re over populated; they’re messy. But somehow things work—not in a banal way but in a creative way. 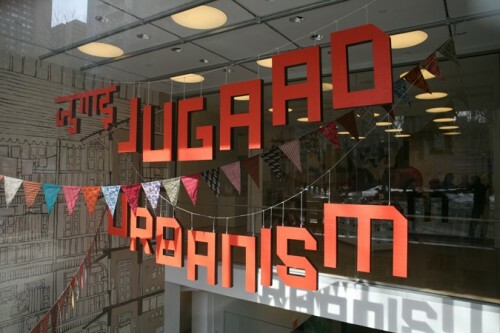 We found that jugaad existed in so many ways.” The exhibit is organized around resources, such as land, water, energy, and transportation and culls the material from communities in Delhi, Mumbai, Ahmedabad and Pune. Video, photos, graphics, renderings and object displays develop a narrative detailing how NGOs and designers can draw inspiration by observing the everyday survival of the India’s poor. While some of the developed designs are relatively inexpensive, not all are cheap—especially when it comes to dealing with land. A good portion of the exhibit examines proposals for preservation and renovation of chawls, the multistoried tenements endemic of Mumbai. “Land projects are a little more difficult because of the politics and land development,” said Rosamond Fletcher, the Center’s director of exhibitions. “I think that there is some hope for the historic fabric.” The implication is that rather then leveling Mumbai’s chawls, they could be recast and redeveloped as an integral part of the city’s character, as was done with Wapping in London or Lower East Side in New York. A good portion of the exhibit studies waste management, particularly that of humans. One device on display is a porcelain toilette pan with two compartments that separates the waste for better management. Cast off tobacco packages get recycled into corrugated plastic material. Throughout the space, American milk crates get the jugaad treatment with cushions covered in gold satin. When pressed to pick one object on display that really attracted them, Agrawal and Fletcher both said they were drawn to the e-charka, an energy generating spinning machine. Besides the obvious cultural connections, to Gandhi in particular, both said the machine is loaded with symbolism. “It’s such a fascinating little piece. It’s quirky and humorous but at the same time its really serious,” said Agrawal. The energy from the machine powers a transistor radio and a small lamp with a decorative plastic shade. It’s the flourish of the shade that intrigues Fletcher. While lifting it up she points to the shade's curved outline. “Everyone needs that added layer,” she said.